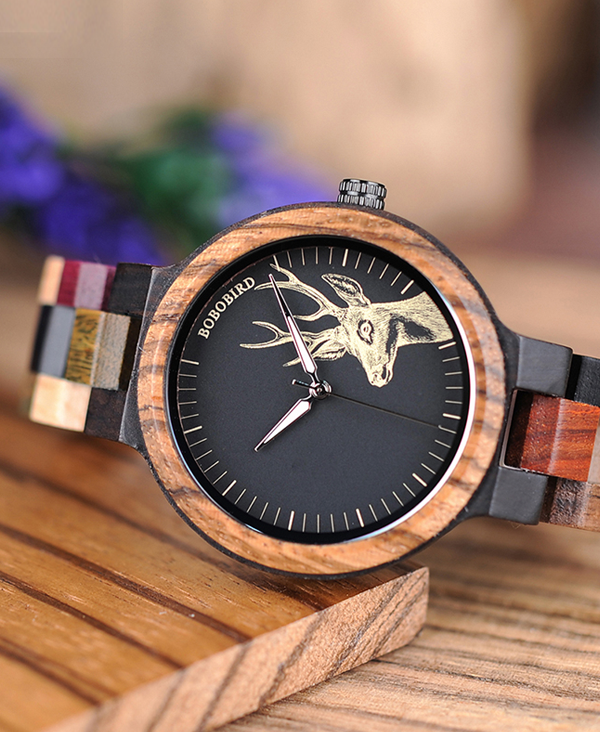 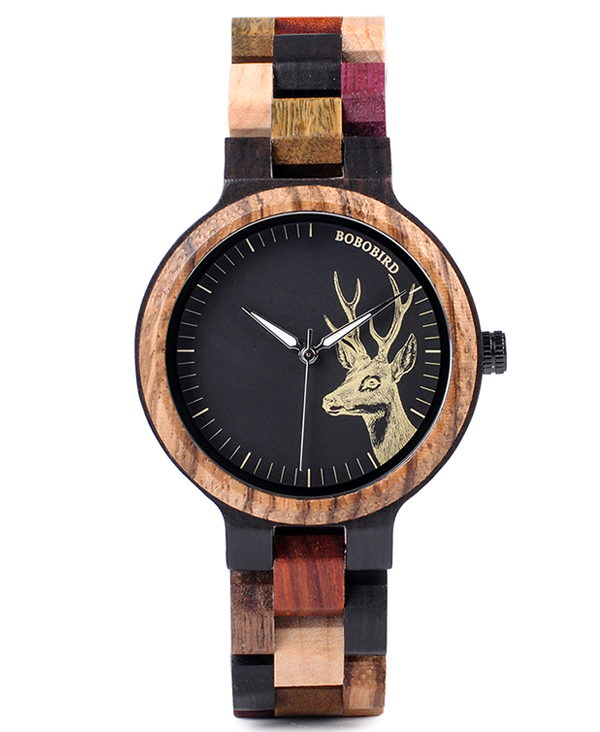 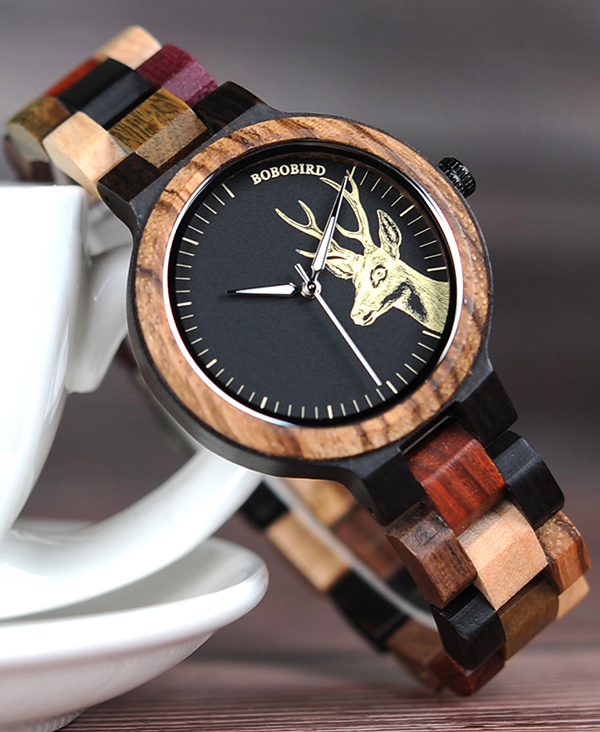 The sophisticated black face features a three-hand movement with luminescent coating on two of the markers and provides the backdrop to the wonderful deer illustration. 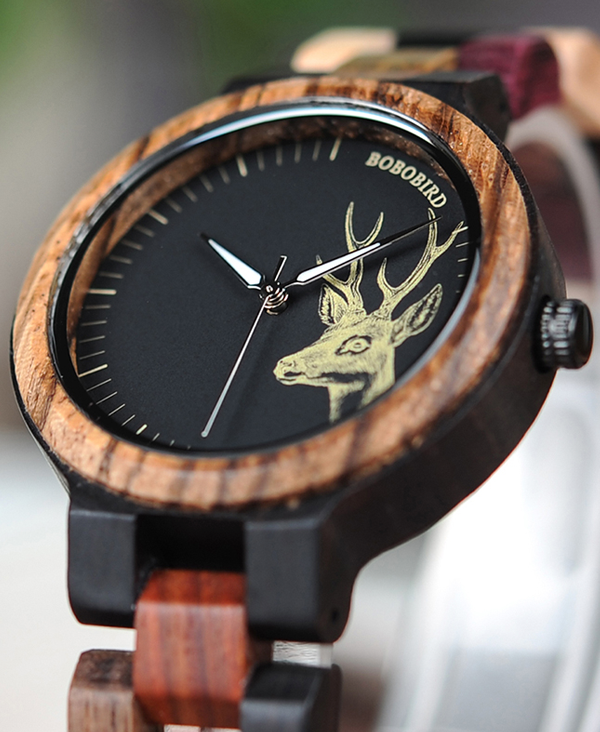 The surrounding Zebrawood bezel compliments the look perfectly. 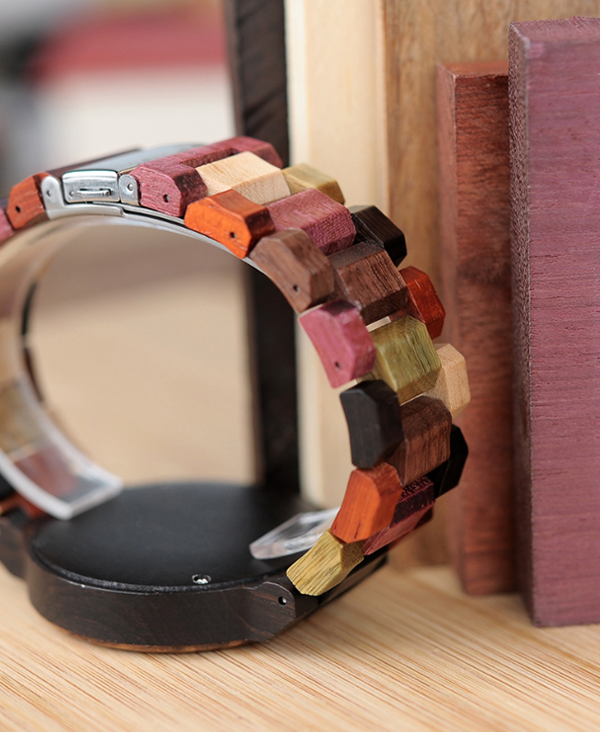 It is incredibly lightweight and comfortable to wear, and is adjustable in size – links can be added or removed using the tool provided. 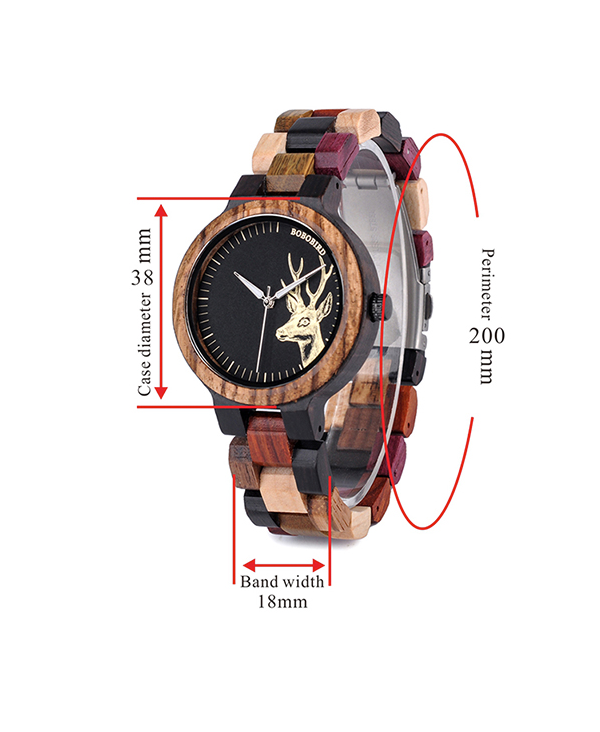 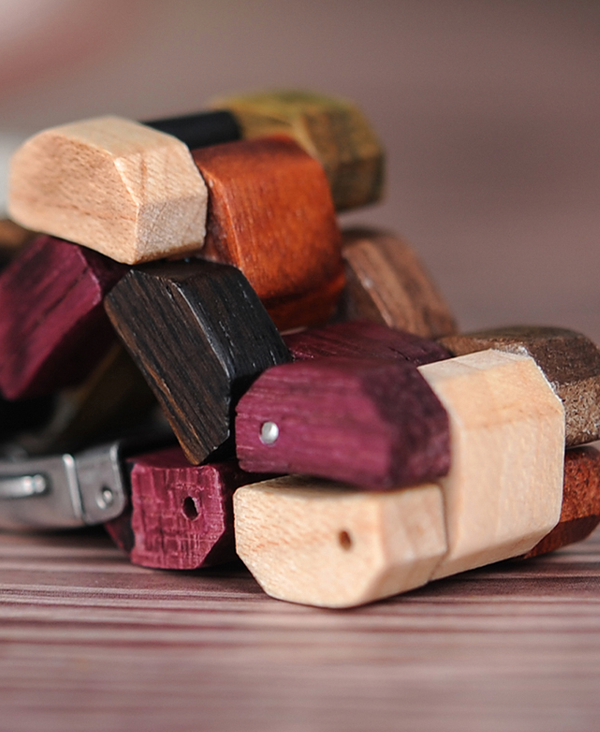 There’s an abundance of wow factor to this gorgeous ladies wooden watch, which truly is a style statement that is sure to attract its fair share of admirers!